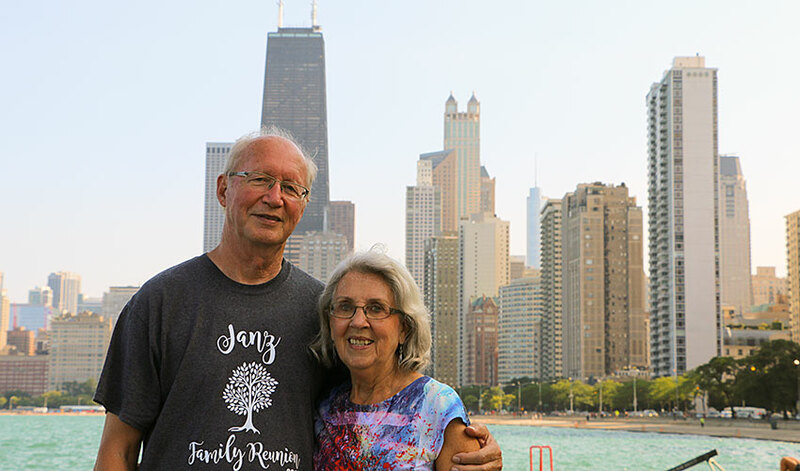 Bob and DeEtta Janz have been serving with Janz Team / TeachBeyond for 53+ years. Bob is the son of Adolph and Susie Janz, part of the original Janz Team. Not long ago, Bob and DeEtta Janz were visiting the TeachBeyond offices in suburban Chicago, where we sat down for a chat. Pam: Your family was very involved in Janz Team ministry right from the start. Bob: Yes, in 1957 my parents moved to Europe to join Leo Janz, Hildor Janz, and Harding Braaten in the Janz Team evangelistic work going on in German-speaking Europe. Pam: How old were you? Bob: 18. I stayed in Canada and didn’t see my parents for five years. Pam: This was before email and Skype …. Bob: We could only correspond by letters. We only spoke on the phone twice. After five years, my folks returned to Canada for our wedding. DeEtta: Bob and I met at Prairie Bible Institute. After we were married, we joined Janz Team in 1964. Leo Janz told us they had work for us to do in follow-up. It took us nine months to raise the $300 a month we needed. Bob: But we didn’t end up doing follow-up. People who knew us [and our musical backgrounds] asked if we’d do something with music. 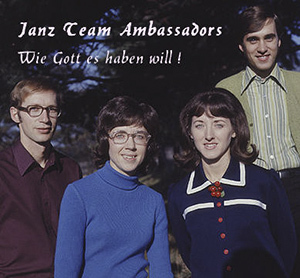 Initially we worked with two Janz Team evangelists—Erwin Hoffman and Willi Ott—doing music. Later DeEtta and I were part of the “Ambassadors,” along with Del and Dawn Huff (pictured) and evangelist Larry Janz. Dawn is DeEtta’s sister, and they took turns staying home with the kids. 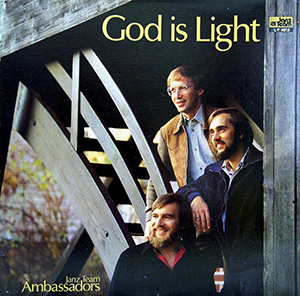 Then from 1978-1983 the “Ambassadors” became a men’s trio (pictured). There were times when we also traveled with Leo Janz. We’d go to schools to do religious instruction—but sometimes ended up in Math and other classes, too. Children’s meetings were always a part of the evangelistic meetings, with up to 300-400 kids attending the afternoon events. Pam: What else was going on? 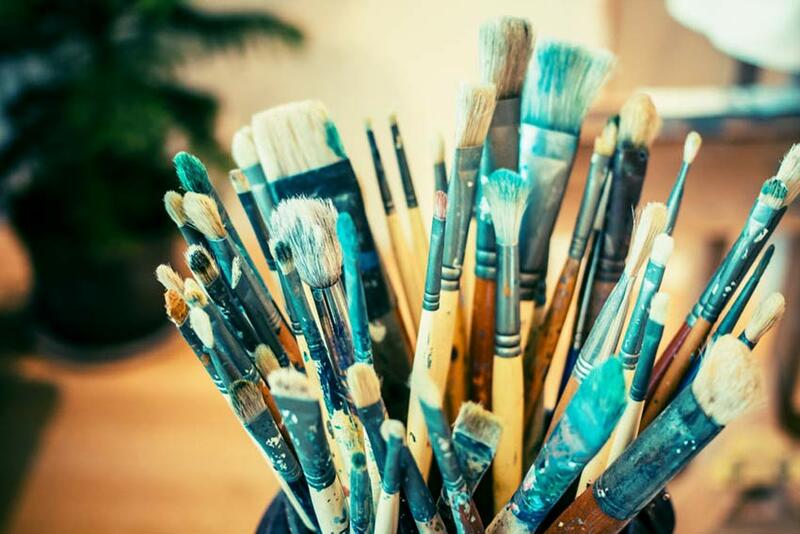 DeEtta: So many things! For 20-30 years, we had a short-term (three-month) Bible school in Haus Palmgarten in Kandern and also did pastors’ conferences there. 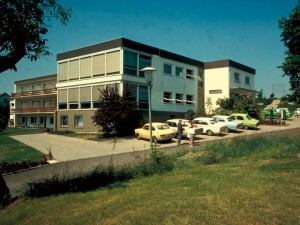 Ours was one of the first short-term Bible schools in Germany and so many young people were impacted. Bob: We had evangelistic outreach experiences at our Bible school. Our slogan was, “Three months that will change your life.” We also had family camps, each camp lasting three weeks. The kids would pressure their parents to return every year. And we had English Camps, which are still going on. Our mission held some of the first English Camps that were offered in Germany. DeEtta: Ministries come and go. They thrive and then they dwindle. Bob: After a time, the requests for crusades dwindled. Special satellite evangelistic events called “Pro Christ,” initiated by Billy Graham involving hundreds of cities in Germany, took over so Janz Team was not needed as much. One door closed, but God was opening another. Haus Palmgarten (pictured) became a dormitory for Black Forest Academy. Our focus switched from crusades to education. Janz Team became TeachBeyond. 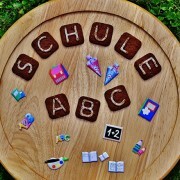 Pam: You still live in Germany and you’ve been with Janz Team / TeachBeyond for 53 years…. You have been with our mission longer than just about anyone [except maybe Christa Janz, at 56.5+ years]. That’s pretty amazing. Bob: We have seen so much fruit over the years. I suppose you wonder why the efforts didn’t snowball? Bob: Yet what we have seen is a tremendous growth in the evangelical churches. The state Lutheran and Catholic churches have 2-5% of their members attending services and those numbers are shrinking. The evangelical movement, while small, is very strong. In Germany, where the gospel is preached, the church is growing. Pam: You are still very involved with the church…. Bob: We are. We are doing senior concerts to encourage believers and to let seniors know that their time is not yet up. The older generation needs to be models to the rest of the believers. Periodically we spend two months in Spain, sometimes during the Christmas season, ministering to a congregation of German snowbirds, encouraging them to follow Christ. Many may not attend church in Germany, but in Spain they do. DeEtta: Bob has many opportunities to preach and teach in a variety of settings. Music plays a special role in all our ministries. We encourage people not to give up: they can have a prayer ministry. They can be a witness. Bob: As we travel, we also share what God is doing through TeachBeyond around the world. We see God blessing and doing so much! God has been faithful through all the years.